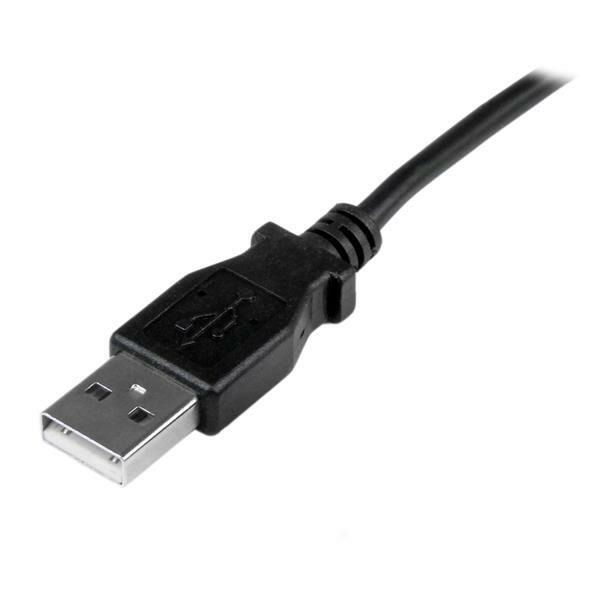 The USBAMB1MU 1m USB to Up Angle Mini USB Cable provides a high quality connection between your Mini USB 2.0 mobile devices (smartphones, GPS, digital cameras, portable hard drives, etc.) 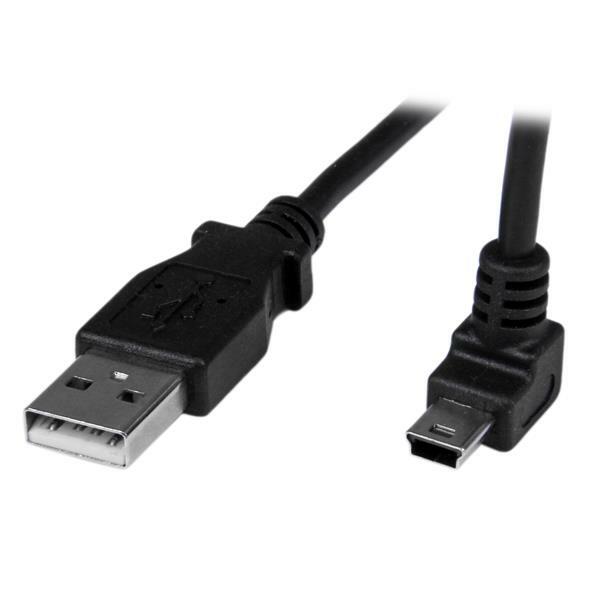 and your PC or Mac® computer, for everyday tasks such as charging, data synchronization or file transfers. 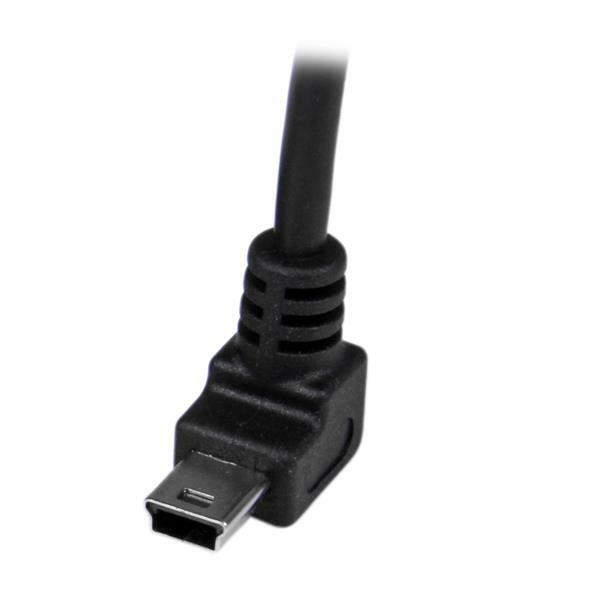 The up-angled Mini USB connector allows you to access your Mini USB devices, while keeping the cable out of the way, and stress away from the port. 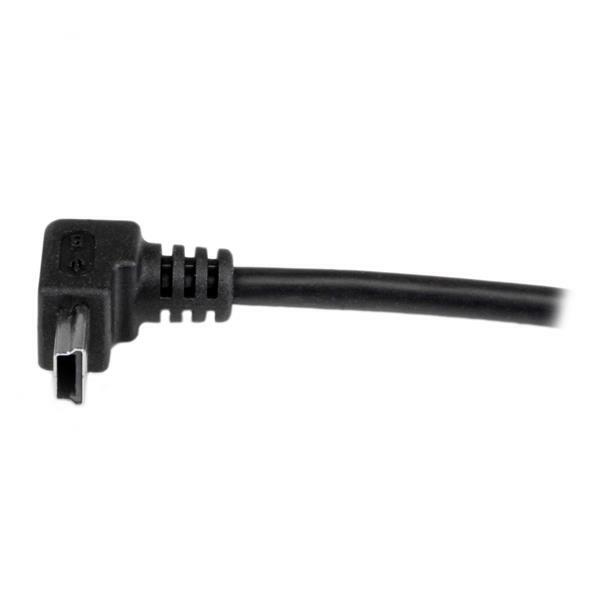 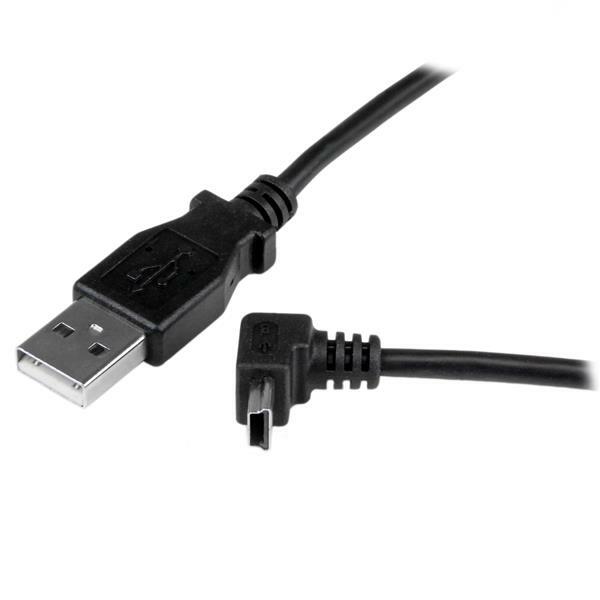 As an alternative, StarTech.com also offers a 1m USB to Down Angle Mini USB Cable (USBAMB1MD), which provides the same convenience as this up-angled cable, but allows you to connect to your Mini USB device from the opposite direction.